Did you know you can turn a wedding invitation into the perfect Quinceañera invitations with just a simple change of wording? Same for Sweet 16 birthdays! Wedding invites are the ultimate in luxury and style, which happens to be exactly what you’re looking for. 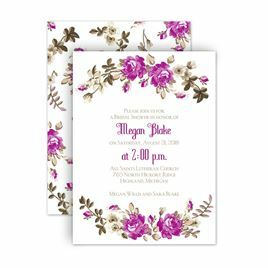 So go ahead and shop this collection of beautiful invitations and just choose a Quince verse or Sweet 16 verse when you personalize the invites. This special occasion deserves the perfect invitations, and you’re about to create something unforgettable!